My 2 CTS on the station platform is that ether would look good. 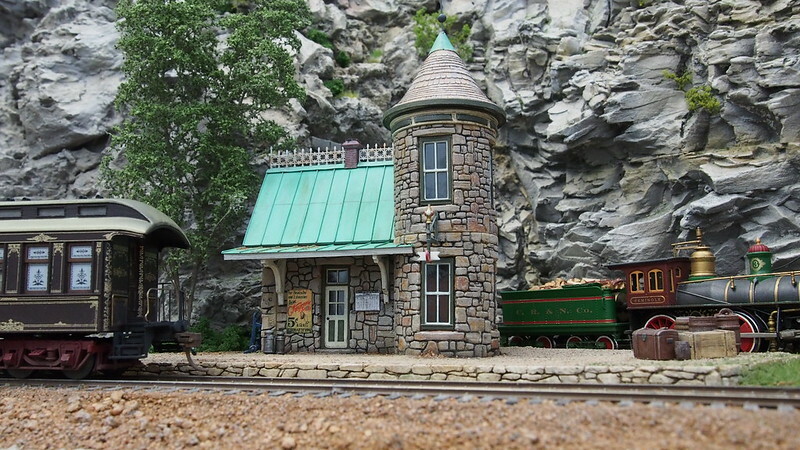 Wood would be cool but given the station's environment I would think gravel would be way appropriate too. Rich and Bob I have botched it up with the foundation as the building is glued to it and can't be removed easily. I mounted the house to it before I had decided on how the area should look like. So it have to go into the ground or under the floorboards. It can go either way as you say Bob but I'm leaning towards gravel as the railroad had a lot of that stuff from cuts and fills. I gave the platform a week of sleep to decide what to do . I finally decided to make a gravel platform as I had planned and I thought I share some photos on the outcome. I think the outcome is not to too bad but I had some difficulties to get a dry dusty feeling to it. 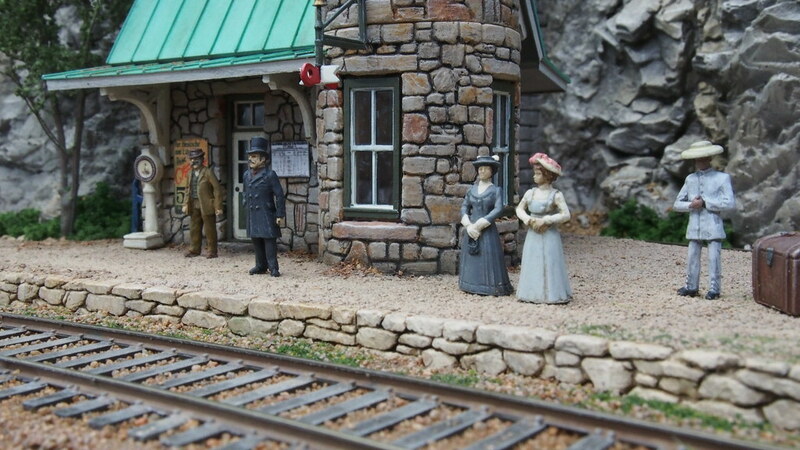 I'm not finished detailing and I'm working on some figures to give the station some life. I also haven't decided on a name for the station so that is also on the work list. Pictures are merciless and I noticed that on the tower some of the casting mold lines still are visible so I'll have to do some adjusting on those. I like it H�kan! It looks way better than I imagined it would, well done! I like the leaf litter on the roof and around the station. 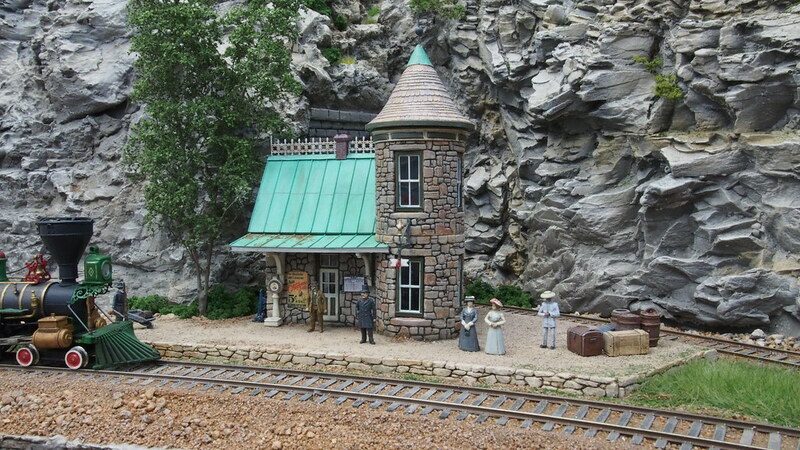 Since this new station is amongst the mountains, how about "Rockway" as a name for this station. The station fits right in. 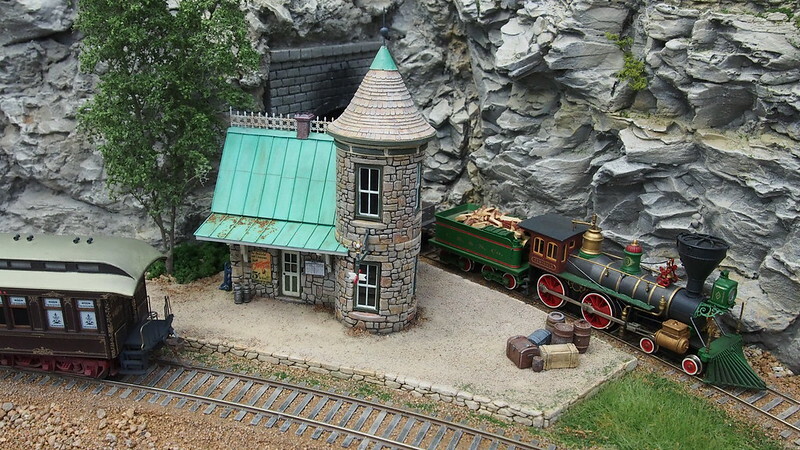 The station platform of dry fill gravel looks right for the location. I also like the static grass on the land between the right of ways. I agree, a few figures will make it POP to life! I really like it. The gravel looks sharp and really fits with the character of the building. As the others have said, the gravel look great. Is the gravel below the front wall, or is it at the top of the wall? It is difficult for me to see that in your picture. And yes, you boys from Sweden sure know how to beautify a layout.. Thanks Greg, Rockway sounds like a great name. I have thought of Rock Bottom as opposed to another station I have that is named Soggy Bottom . Thanks Greg R, it came out better than I thought. It is real dirt that I glued down and painted and last applied some earth toned chalks to. There is a lot of stone so I have to lighten things up with some greenery. Thank you for the kind words Ted. I hadn�t thought of some sort of paving with cobblestones but that sure would look nice. I have some more depots to do so I file that idea for the next one. Glad you like it Bob, it was way too dark when I first glued down the dirt but it was lightened with the paint and chalks. 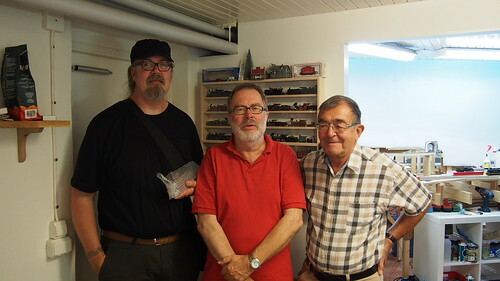 I thought I share a photo of some fellow model railroaders visiting me some weeks ago. They are from left to right Michael Graff, Peter Haventon and my friend Erik Bj�rnwall. Michaels great work is known here on the forum and Peter is the guy who has the museum Michael made a exhibition model railroad for. Peter is also a avid collectors of most everything that has wheels and writes books on classic automobiles. 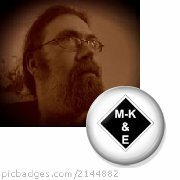 Erik is a great modeler and also known here posting pictures from time to time. They brought a visiting loco in the form of a Dreyfus Hudson (held in Michaels hand) which ran great but looked mighty huge and strange compared to my small critters. Thank you Greg! I got the handrails a little to low I think. Painting it was not as easy as I first thought. 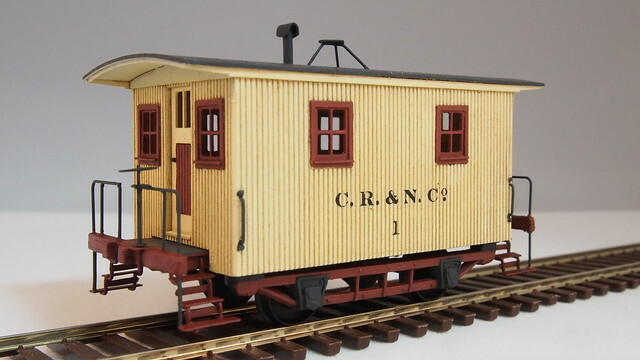 I had glued on the windows with the thought to have the body and windows the same color red but looking at the Bobbers on John Otts site I changed my mind to paint it yellow with red trim. I should have decided the paint scheme before I mounted the windows and doors as they now were a pain to paint. I tested various reds and yellows on some scraps before I decided on Polly Scale special oxide red and ATSF Cat whisker yellow. The photo below shows the painted car so far with decals added. Time flies as my decal sheets now about 4-5 years old had become quite brittle. It was a great visit indeed! The functionality of your railroad is A+! Many thanks Mario, I'm very happy you like it! Thank you Michael! It was great having you here! 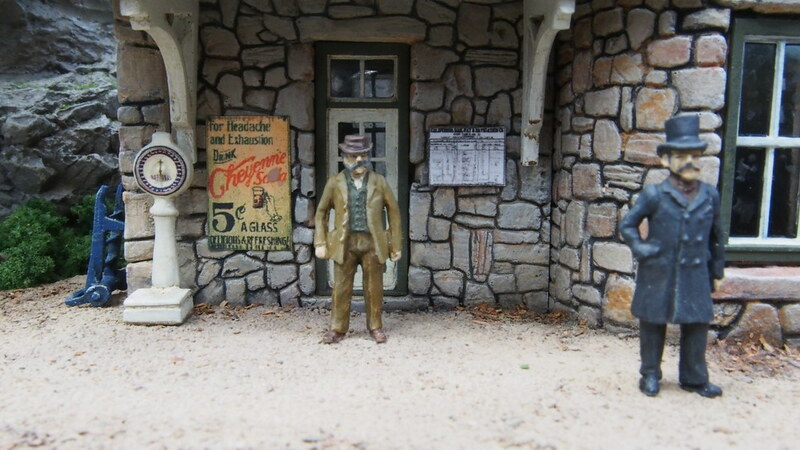 A couple of figures from AC Stadden got painted this week to populate and to give some life to my Stone depot. I also made a Penny Scale from a Selley casting which I painted white and applied a face to. The face was made from a decal printed on my Inkjet. 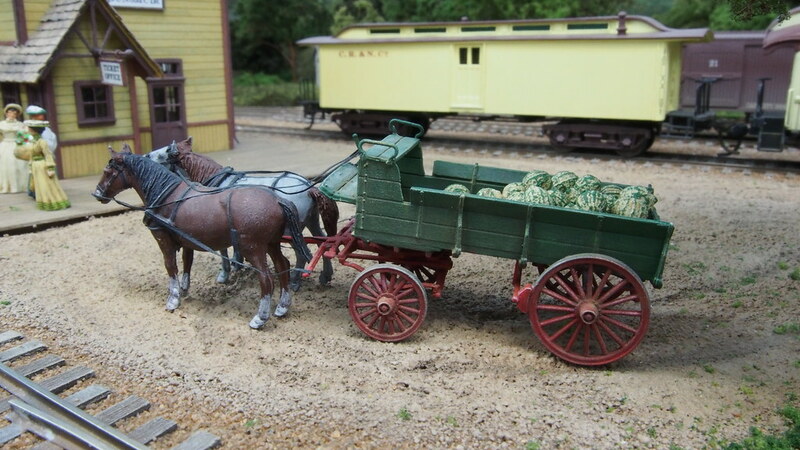 I also have tried Troels method of using tape for harnessing and I have applied that to a Jordan farm wagon that I recently have made. It was a bit tricky to apply the tape. I can imagine that it is easier in O scale but I think the result was worth it. Up close it looks better then fishing line that I previously have used.